Some of the most valuable pre-med experience you can gain before applying to medical school is clinical experience, meaning time spent directly interacting with physicians, support staff, and patients. While clinical experience will play some role on your application, you shouldn’t approach it as an application filler, or as something you need to do in order to check a box and list an activity in your AMCAS activities list. Clinical experience will go a long way to cementing your desire to pursue medicine. It’s also the best way to see what the day-to-day life is like for physicians in their chosen healthcare setting. This can be eye-opening for pre-meds and give you a much more realistic understanding of what your life will be like after medical school. Here are some of the most frequently asked questions about pre-med physician shadowing to help you make the most of your pre-med clinical experiences. Q: How do I build a network to shadow? A: Your network is all around you. Finding physician shadowing experience is a matter of preparation, time, patience, and persistence. If you have access to a pre-med advisor, start there. They can connect you to physicians that have been open to being shadowed in the past. You can also identify physicians in nearby clinics, hospitals, or private practice with an online search and contact their office by phone or email. Ask your classmates and especially seniors who have already applied to medical school who they shadowed — a referral and warm introduction is always good. But even if you’re flying completely solo, plan far enough ahead so you can fit in your shadowing around your other commitments. You’ll likely get several non-answers and a few polite no-thank-yous, but keep trying. Q: How do I continue a shadowing relationship? A: When you first meet with the physician you are going to shadow, you’ll want to establish a mutual agreement on how much time you’ll spend together to make sure this meets your educational needs and is also something the doctor you match up with can commit to. You’re looking to build a relationship over time and you should express that from the get-go. This doesn’t mean you won’t learn anything from a short stint, but if you want to add this experience to your AMCAS list of activities and maybe get a letter of recommendation, look for a longer commitment over several months. Don’t be shy about expressing this need and meeting several physicians before you find the right match. Q: How many hours do I need to shadow? A: It depends. Since this is not a requirement for your medical school application, you’ll want to find a balance between a length of time that shows commitment, 3-6 months for several hours a week, and managing your school workload. Your main focus should be your academics since they’ll play the biggest role in your acceptance to medical school. 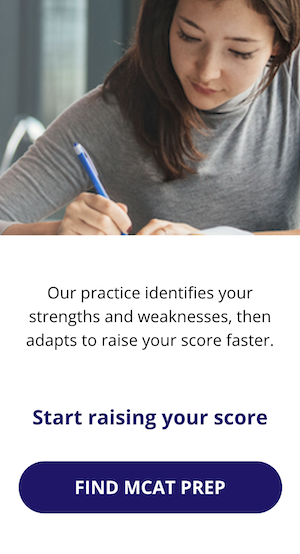 This means that maintaining your GPA and working toward a great MCAT score should take precedence. Q: Does it look better to shadow a surgeon in a hospital or a primary care physician? A: Don’t worry about impressing admissions committees with names of high-ranking faculty or renowned surgeons. What matters is what role you played, how long of a commitment you were able to make, and what you learned. A prestigious surgeon that barely spent time with you won’t give you the learning experience you’d get from a primary care physician who took you under their wing. This same reasoning applies to letters of recommendation — don’t look for the person with the most clout but rather the person who can speak most passionately on your behalf. One caveat is if you are applying to DO programs: Many DO programs will want you to have specifically shadowed a DO and some will ask for a letter of recommendation from a DO you’ve worked alongside of. Q: Is pre-med physician shadowing considered clinical experience? A: There are several ways that you can gain pre-med clinical experience: You can participate in direct treatment and care of patients or you can be an observer of the doctor-patient relationship. Just because you aren’t directly providing care doesn’t mean that shadowing is a lesser pursuit. Provided you’ll get enough time, exposure, and mentorship, physician shadowing does count as clinical experience. Q: Can I shadow a physician in another country? A: Pre-med internships, physician shadowing opportunities, and hands-on experiences overseas are very popular among medical school applicants. These can be enriching, valuable experiences that can broaden your horizons about how medicine is practiced outside your home country, how the healthcare system functions, and how to interact and communicate with people from other cultures. However, you’ll want to follow the same guidelines as shadowing a physician near you. Ask yourself: How much did you commit, how much did you learn, what did you contribute? You will want to be able to speak convincingly about why you chose this path and how that has contributed to your overall understanding of the practice of medicine. Q: What if I can’t shadow a physician as a pre-med? A: There are other ways to gain clinical experience beyond shadowing, so if you cannot find a doctor to take you on, you can check out medical scribing opportunities, volunteering as an emergency medical technician, volunteering in another healthcare setting, and volunteering in hospice care. Being able to deal with end-of-life care, including patients and their families, is an invaluable experience that will prepare you for one of the most challenging parts of working as a physician. Q: How do I ask the physician I shadowed for a letter of recommendation? A: Toward the end of your time with the physician you shadowed, you’ll want to let them know how much you learned from them and enjoyed their mentorship. If you feel that your relationship had enough depth that the physician can advocate for your medical school candidacy passionately, ask them for a letter of recommendation. When you ask, give them the same tools you’ll give your other recommenders — a copy of your resume, your personal statement draft if you have one, and your goals. And, set a deadline, maybe one that’s a few days before your actual deadline just to be safe. If they respond with enthusiasm, you’ll likely get a great letter. If they’re reluctant, say they’re busy, or ask you to write it yourself, move on. You don’t want a tepid, formulaic letter.